Home » Money & Technology » Communist China Producing 4 Billionaires Per Week, Thanks to Protectionist Policies and Media Control Mechanism. The 2018 HURUN GLOBAL RICH LIST shows the rapidly changing face of the world wealthiest and how China is leading the way, despite a communist system of Government. China is now home to 819 Billionaires, at least 40% more than there are in the USA, adding 4 billionaires per week or 210 in 2017, although income inequality in China is widening with 1% of the population possessing 1/3rd of the country’s wealth. China’s policy of locking out silicon valley’s technological giants or social media firms like Facebook, partly a protectionist policy and partly a media control mechanism has allowed a homegrown tech media giant like Tencent, the firm behind hugely popular social media chat app in China call WeChat app to thrive without competition from outside. 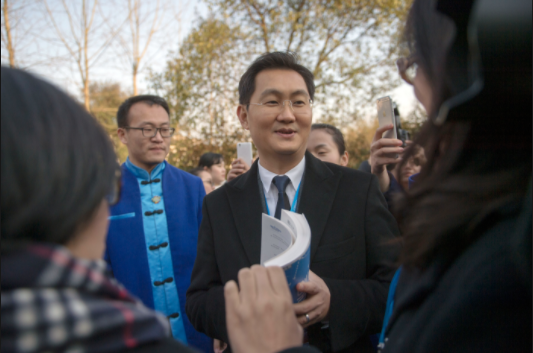 Tencent’s market value of $540b has now surpassed that of Facebook, and the co-founder and CEO Ma Huateng or PONY MA is now the richest man in China, estimated to be worth $47b, holding just 9% of Tencent. By preventing apps like Snapchat and Facebook, China’s huge population provides enough internal market and users for homegrown social media companies to thrive, although there is apparent move to open the Chinese market to Facebook and Co, the urge to have control over these foreign firms and what users are able to post may pose a challenge for the Chinese Government, who is trying to create a global outlook while maintaining a tightly controlled power at home. The former Richest Chinese man Xu Jiayin founded the Real Estate firm Evergrande, mainly building properties in China. Again, China’s huge population and the vibrant internal market provides a thriving place for Xu’s company to accumulate vast wealth.